Welcome to vintagestarwarsdiecast.co.uk a source of information for everything that is die cast vintage Star Wars – well not quite everything, but certainly everything released by Kenner and their international cousins between 1978 and the early 80s. Original photo art used for the ESB11C cardback showing all 11 die cast ships. Used with permission of Kim D M Simmons / the man who shot Luke Skywalker. First things first is it die-cast, die cast or diecast – that's up to you, even Kenner couldn't decide on that one! 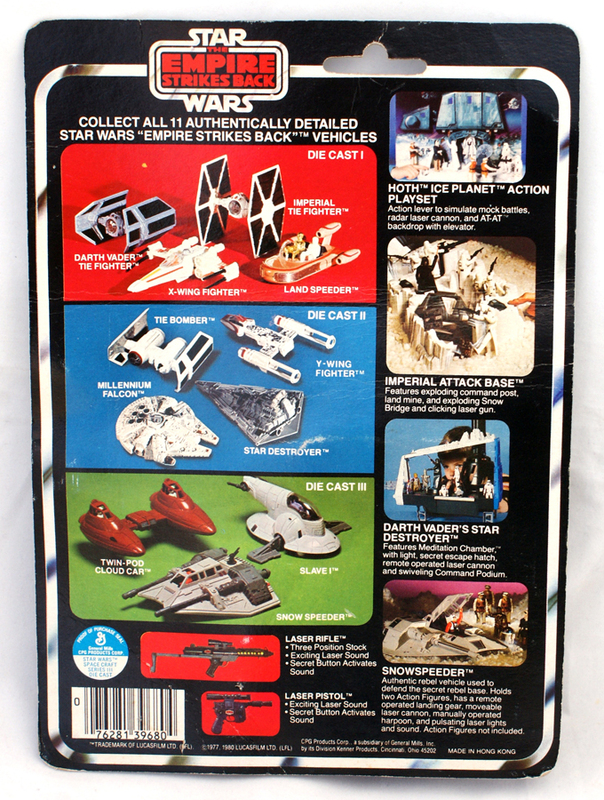 We'll stick with the Kenner's starburst and 'Die Cast Metal and High Impact Plastic'. Kenner released their detailed die cast range of ships in 1978 along with their hugely successful 3 and 3/4” range of action figures. The die cast ships were at a much smaller scale than the action figures and never achieved the same level of popularity. 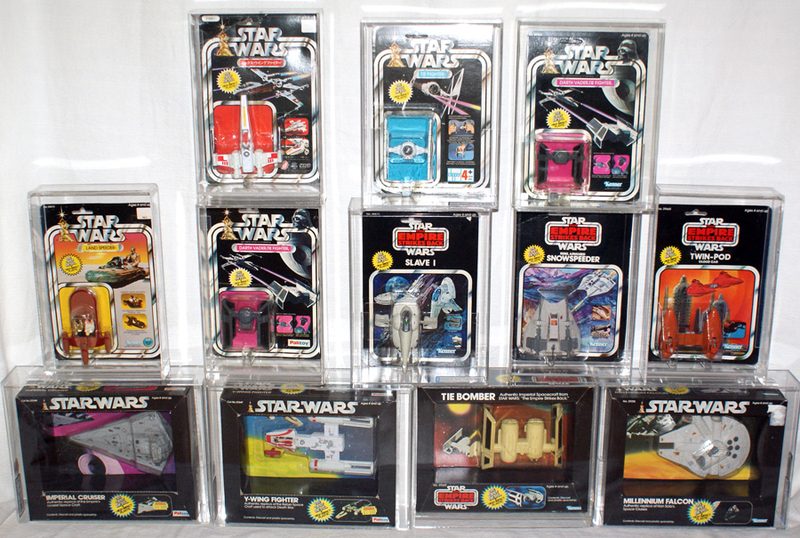 The die cast line was released with collectors in mind and following declining sales the ships were discontinued after the release of the Empire Strikes Back die cast line in 1980, with Kenner focusing on the larger ships designed for their action figure range. 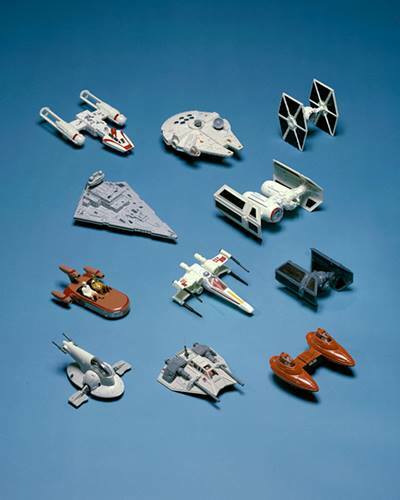 Only eleven vintage die cast ships were ever released, which might explain why die cast is such a niche part of vintage Star Wars collecting. Die cast might be underrated but is an affordable and fun line to collect - and the only vintage Star Wars toys to star in the original films! Dive into the rest of the site for all your vintage die cast needs.